IF YOU LOVE ROMANCE THEN YOU’LL ADORE THIS SIMPLISTIC BOHEMIAN CHIC WEDDING! Jessica and Tanner got married at the lovely The Whitman, Savannah, Georgia, this September. It was a stunning outdoor wedding, with live music and stunning greenery. Jessica got ready at the Whitman's bridal suiite her best friends, mother and sister, and there was such a calm vibe. She wore a Carrafina Bough gown, and looked so gorgeous. The girls then walked the short trip to get to the ceremony. 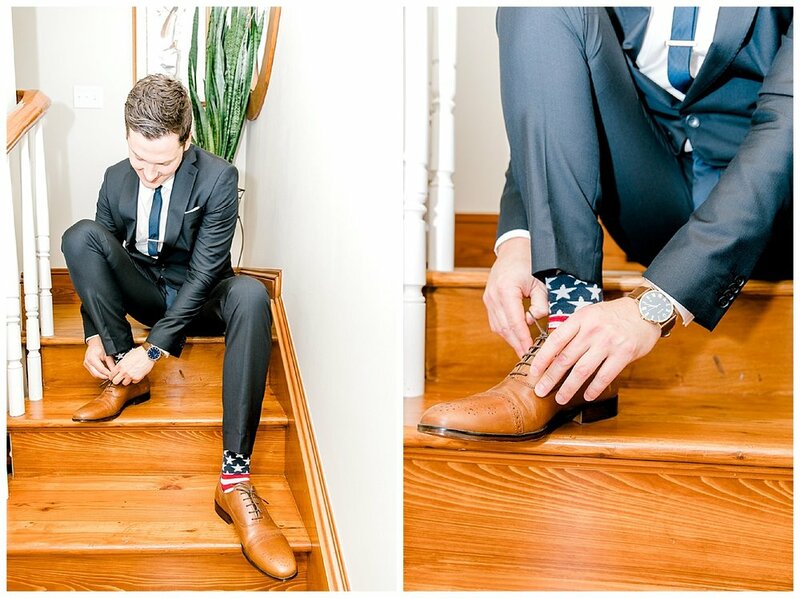 Tanner got ready upstairs in the groom suite at the Whitman with his best friends. He wore ASOS, and looked really dapper. He travelled to the ceremony on foot. 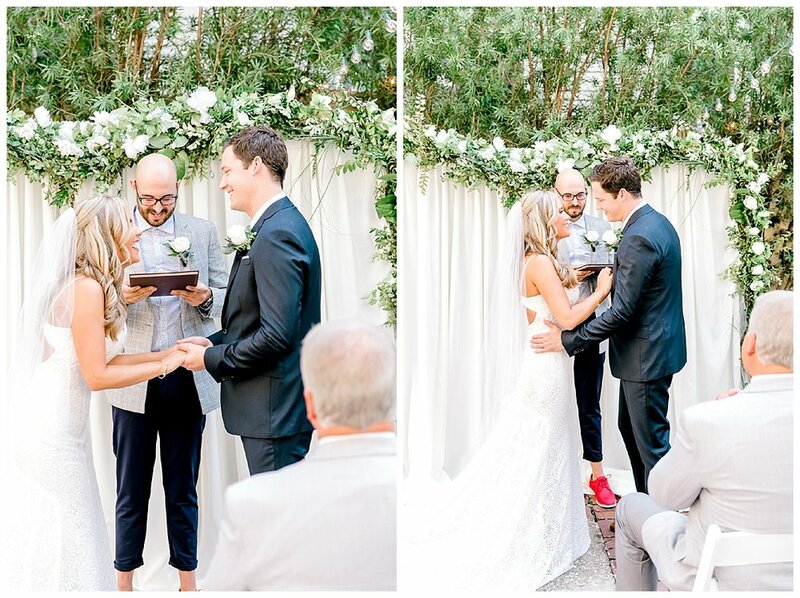 The ceremony took place in the garden at The Whitman. The ceremony area was outdoors, which was just stunning, because it was a beautiful sunny day. 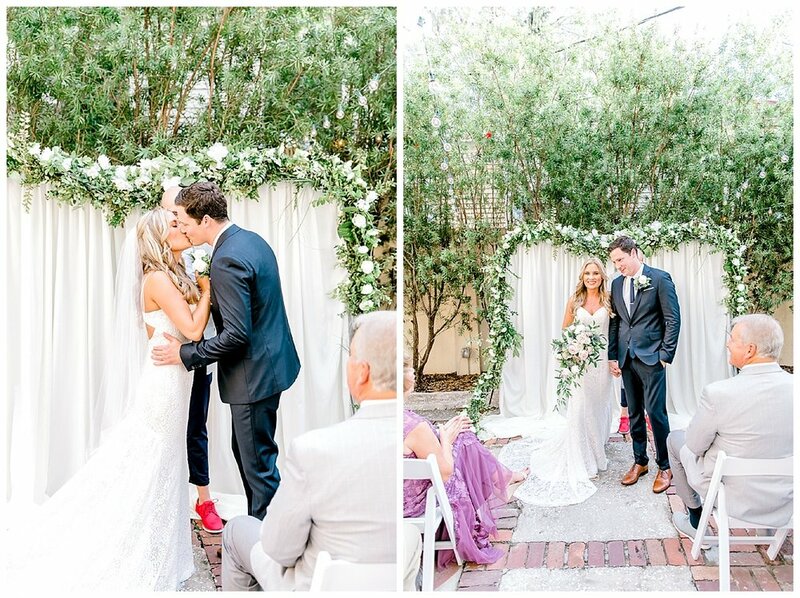 The ceremony began with a beautiful reading, and finished with a sweeping first kiss. 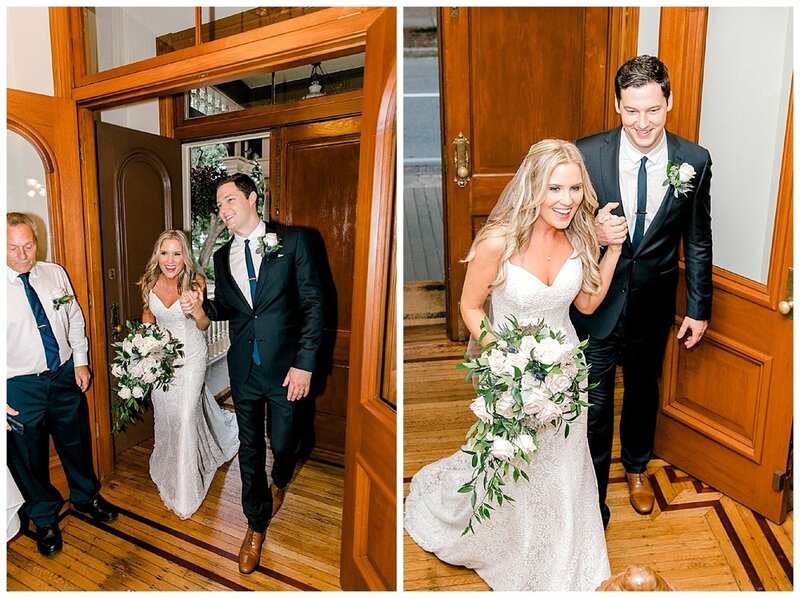 It was a romantic ceremony, full of so much love and private smiles. After the ceremony, we walked to Forsyth Park for portraits, which was so much fun. Then we went for couples portraits, which is such a great time for the newly married couple to have some time to let it sink in. I got some stunning couples photos near the venue – and had the best time getting to know the couple. The weather was perfect, which I loved. 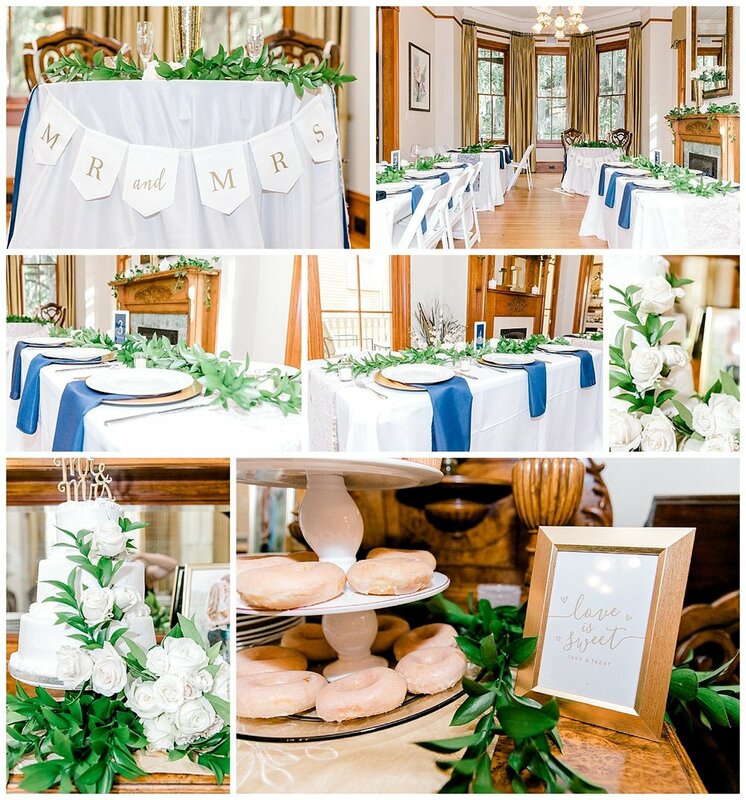 Jessica and Tanner chose to have their wedding at The Whitman because it’s so cozy and relaxed, and it’s near where they got engaged. The Whitman is an old house, and it’s got such a romantic feel to it, especially in the main room where the dinner was held. The evening ended with romantic, which couple portraits – outside the Whitman. The whole wedding was everything I love about weddings, from the brides beautiful dress to a live violinist. 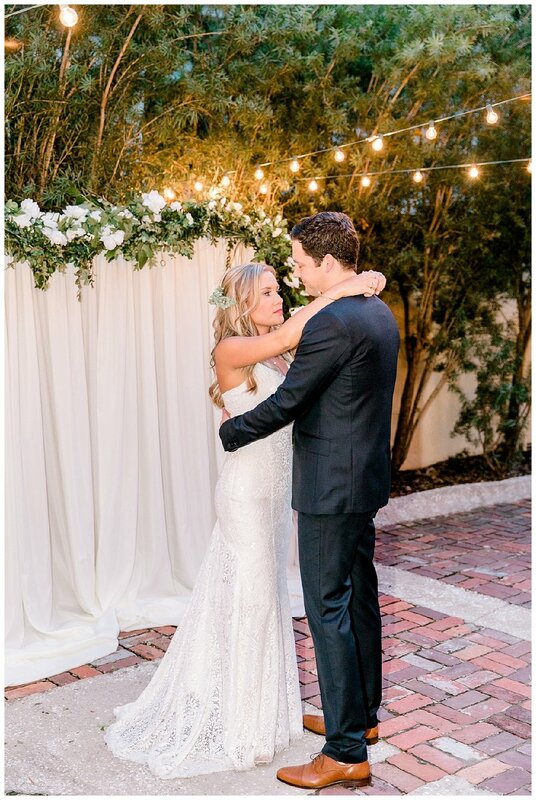 One of the most memorable parts of the wedding was the first dance, because the love they have for one another. The wedding cake was also a talking point of the wedding – because of the beautiful yet simple classic design. 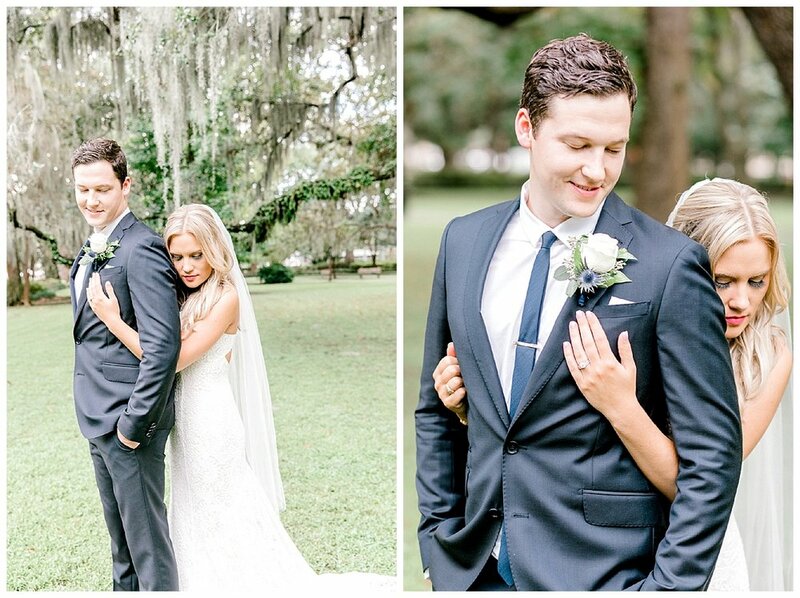 I loved this Savannah wedding so much. If you’re getting married and looking at The Whitman for a wedding photographer, get in touch. Here are the photos!